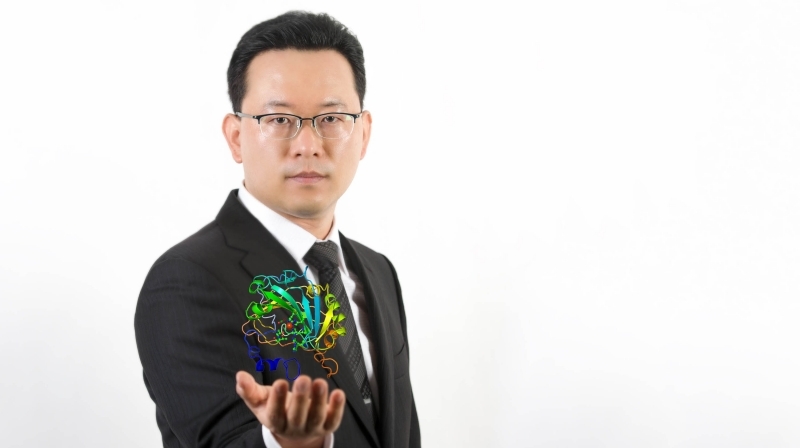 Prof. Chae Un Kim (School of Natural Science), holding the 3D structure of carbon anhydrase, shown with computer graphics. Contributing to the future biomedical research and new drug development. A new study by an international team of researchers, affiliated with UNIST has announced that they have succeeded for the first time in observing the structural changes in carbonic anhydrase. 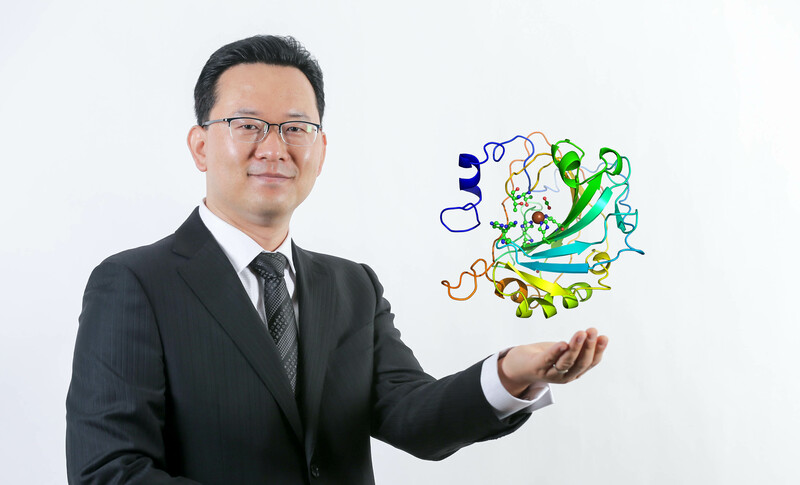 The breakthrough comes from a research, conducted by Professor Chae Un Kim (School of Natural Science) of UNIST in collaboration with researchers from Soongsil University, Cornell University, and University of Florida. Carbonic anhydrase, which is found within red blood cells, is a crucial enzyme that stabilizes carbon dioxide (CO2 ) concentrations. This enzyme catalyzes a reaction converting CO2 and water into carbonic acid, which associates into protons and bicarbonate ions. Moreover, it is also known that carbonic anhydraseis is able to catalyze at a rate of 106 reactions per second. In the absence of this catalyst, the conversion from CO2 to bicarbonate, and vice versa, would be extremely slow and difficult. Schemic image, showing protein movement during CO2 release in carbonic anhydrase ii crystals. 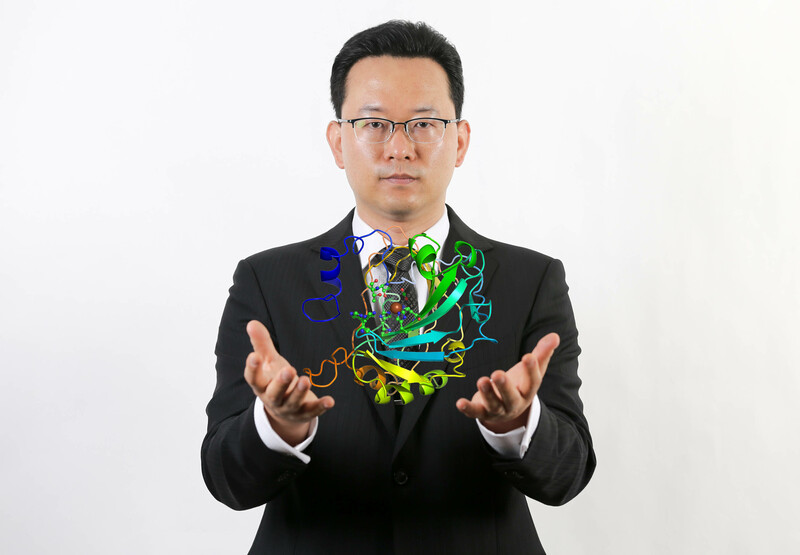 One of the important functions of the enzyme in humans is to adjust the acidity of the chemical environment to prevent damange to the body, as well as to help transport carbon dioxide out from tissue cells to the lungs. Although carbonic anhydrase performs a lot of beneficial functions, defects in the enzyme are responsible for developing diseases, such as glaucoma, acidemia, or osteopetrosis. In this study, Prof. Kim’s team used their own method of “High-pressure Crycooling” and “X-ray Crystallography” to capture the gaseous carbon dioxide in crystals of carbonic anhydrase and follow the sequential structure changes as the carbon dioxide is released. 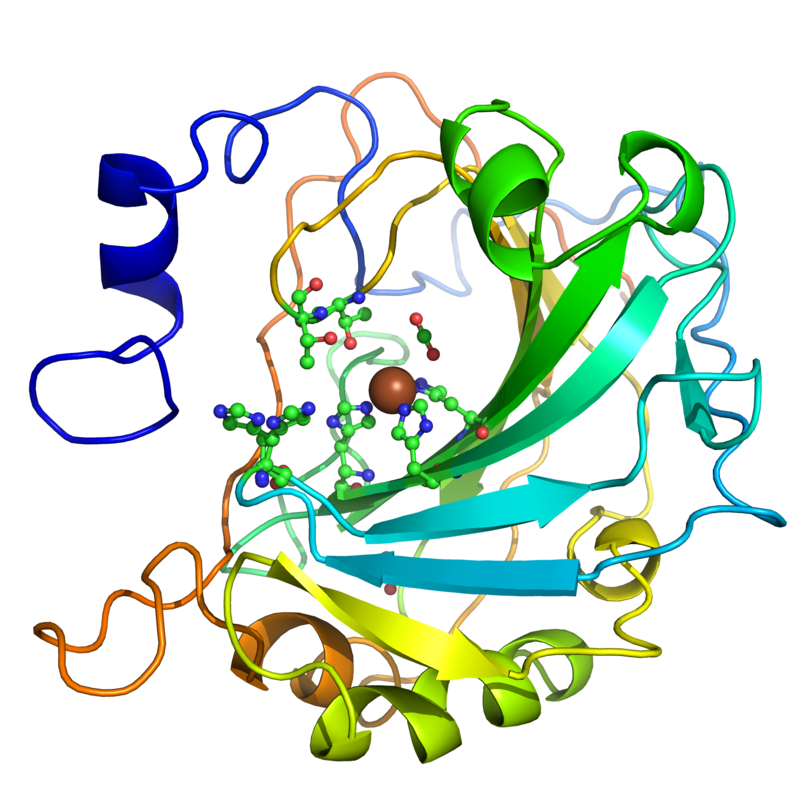 ▲The 3D structure of carbon anhydrase, shown with computer graphics. The results of the study will not only greatly contribute to the future biomedical research and new drug development, but will also help make carbon capture more economic. This work has been supported by the grant from Mid-career Researcher Support Program of the Ministry of Science, ICT and Future Planning, Korea. The results of the study have been appeared in the April 25th issue of PNAS (Proceedings of the National Academy of Sciences), one of the world’s most-cited multidisciplinary scientific serials. Chae Un Kim, HyoJin Song, Balendu Sankara Avvaru, Sol M. Gruner, SangYoun Park, and Robert McKenna. “Tracking Solvent and Protein Movement During CO2 Release in Carbonic Anhydrase II Crystals”, PNAS, (2016).